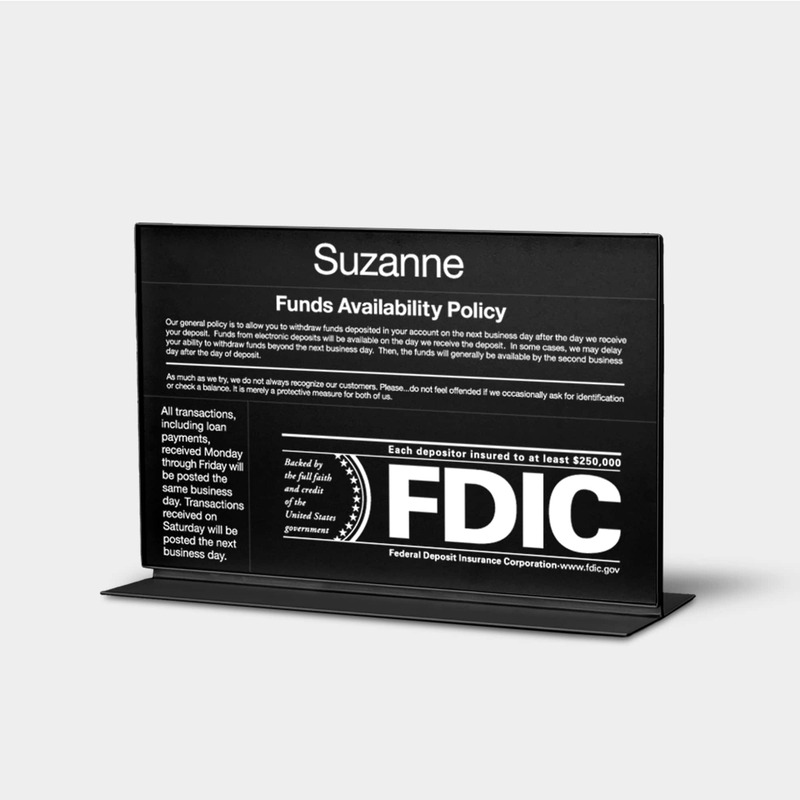 The Kane Consolidator™ professionally displays mandatory banking regulations in one frame. With the flexibility to change any one component. 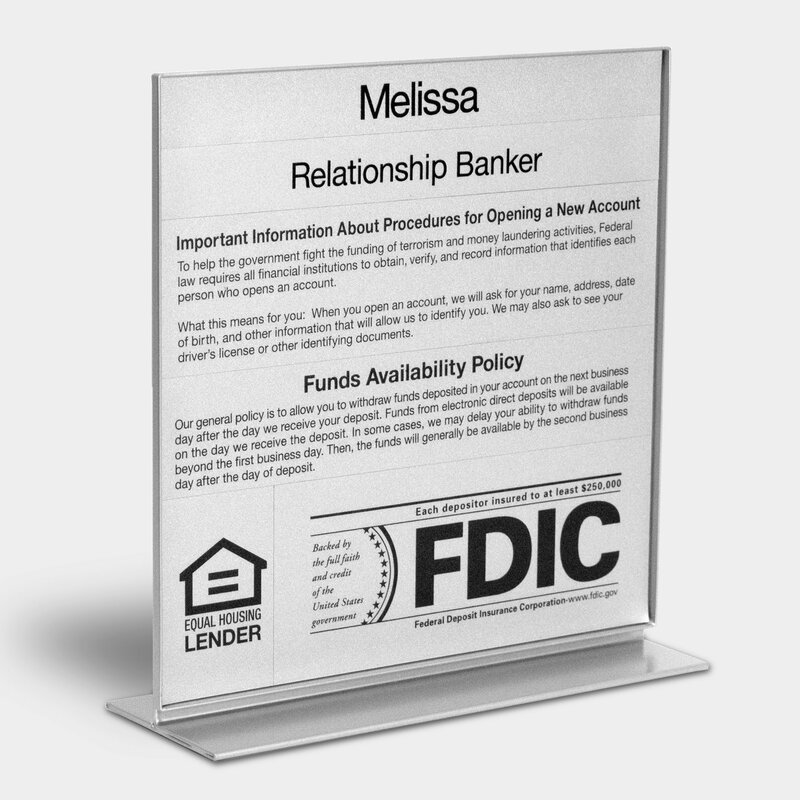 Keep your mandatory compliance signage up to date in your branches. Don’t risk getting fined from banking regulators. Display your mandatory compliance signage professionally in our one-piece metal Focal Point™ frame. 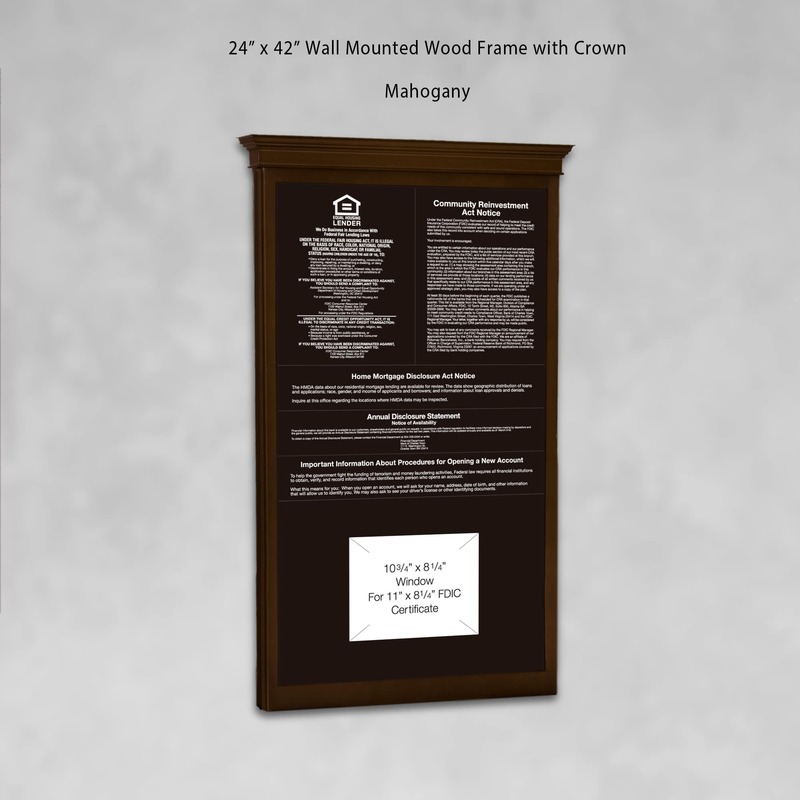 Kane’s patented magnetic panel system fits together precisely it appears as one printed piece. 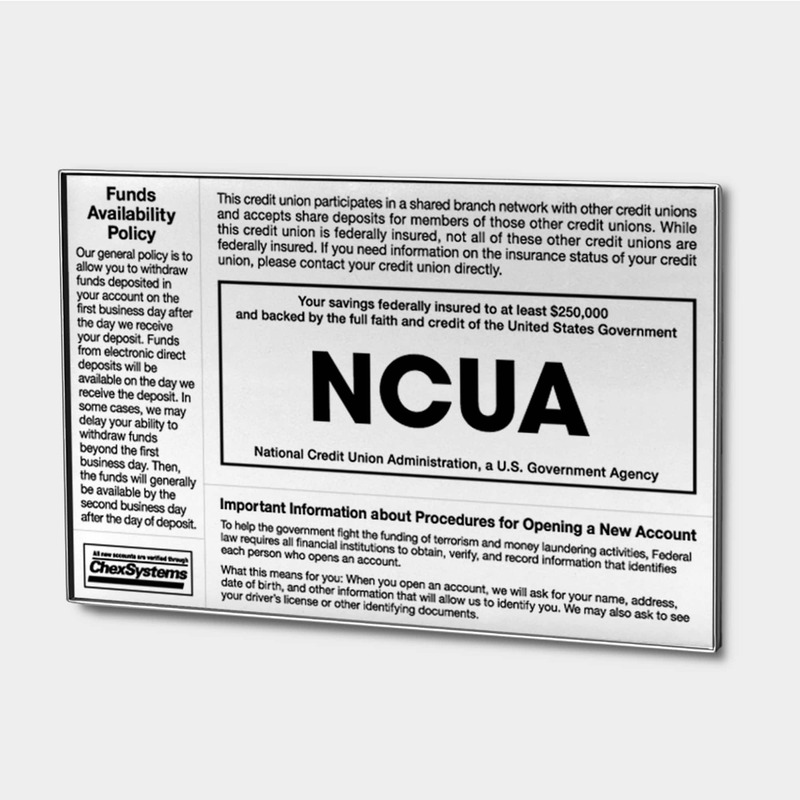 The printing is sub-surface to protect the copy and background. Please Contact our Customer Service. Send us your copy at [email protected] or call 800-992-2921. 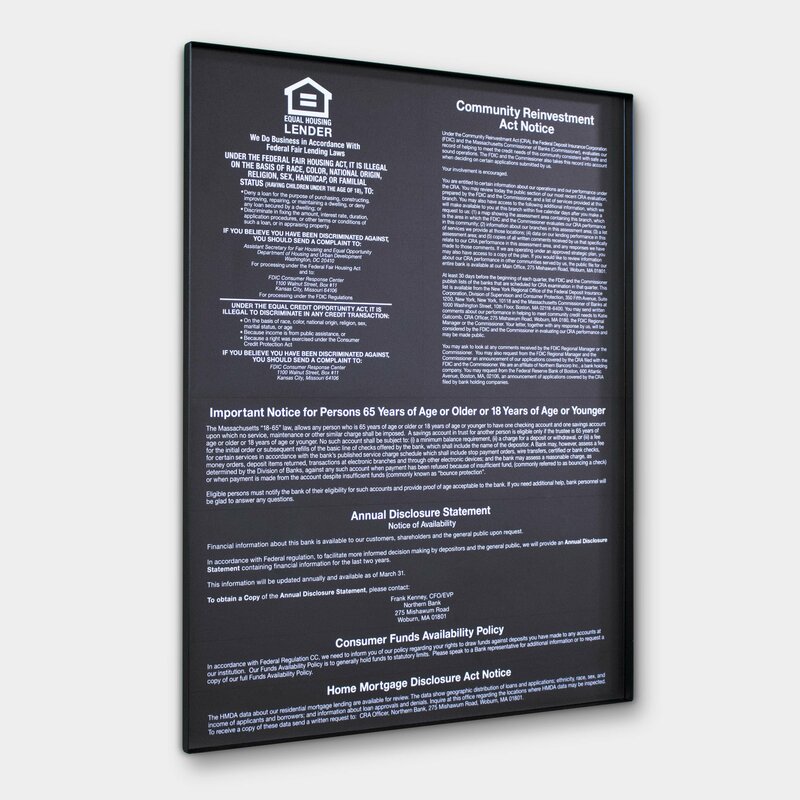 Compliance panels are magnetic – easily replace a panel with a suction cup (provided) without replacing the entire compliance display. Sub-surface printed components printed on Lexan® prevents wear and tear. Your display looks like new, year after year. Focal Point™ frame system – Our one-piece welded metal frame with powder coated finish ensures long lasting durability. 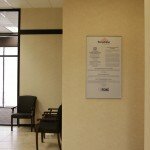 Best location to display compliance sign in my lobby? 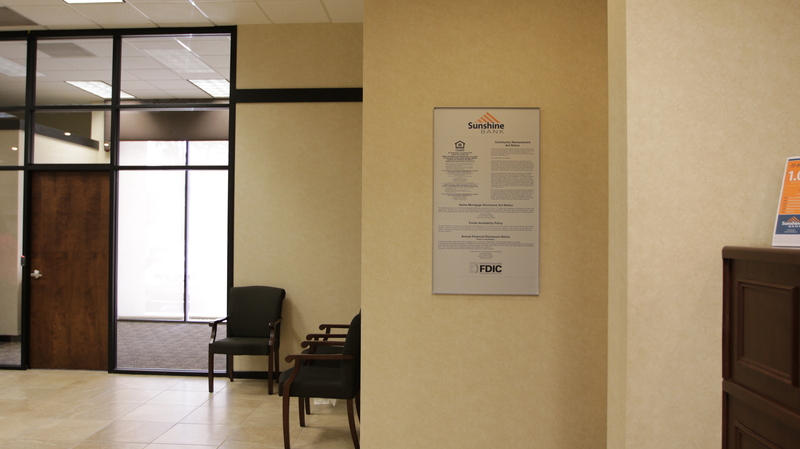 The compliance sign should be located where customers can easily read the information. How high should we place the compliance sign? We suggest it be placed 82″ to the top of the display. Where is the product made? We manufacture in our factory located in Chicago, IL. Mounting screws and wall anchors provided.